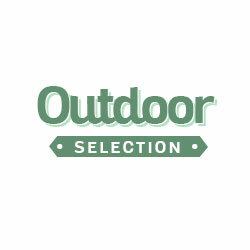 Alicante garden table by Greenwood: elegance and functionality for your outdoors. 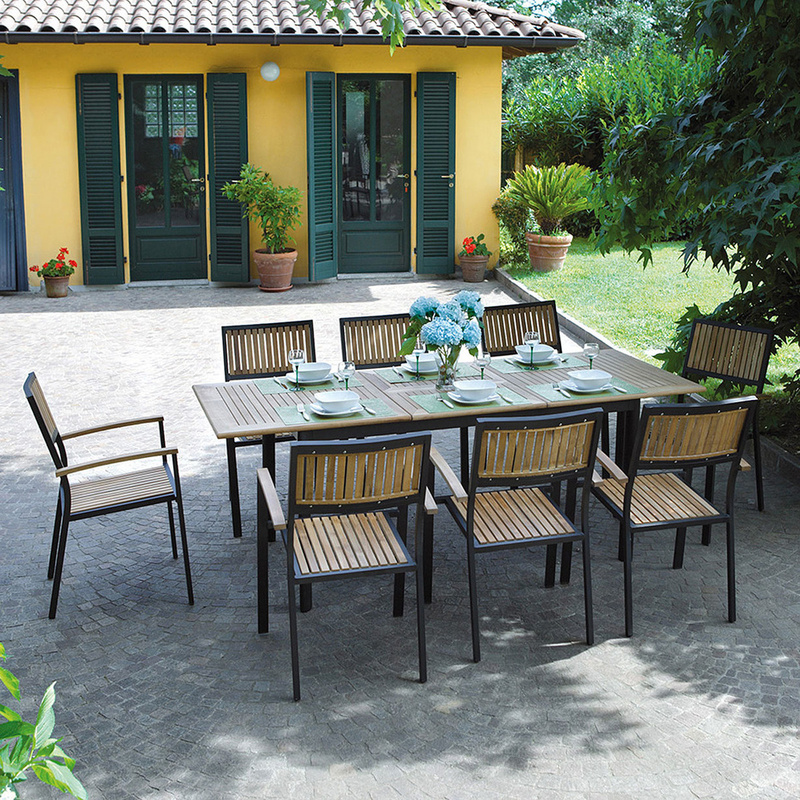 The Alicante garden table is a pleasant product created by the brand Greenwood, Italian company that offers many high quality pieces of furniture specifically designed for the outdoors. Sober, elegant but at the same time lively and cheerful, this garden table is the perfect choice to be arranged in the open air, to enjoy your outdoor spaces in maximum comfort. From the point of view of its look, the Alicante garden table is a traditional table, and its top presents a usual rectangular shape. The Alicante garden table is an item of great quality, both for the undisputed value of its workmanship and for the materials it is made of: the structure is made of aluminum, metal characterized by proverbial resistance, while for what concerns the top, it is made of teak slats, a robust and prestigious type of wood. Alicante is also an extendable table, and this is a very interesting and practical feature: if you need to accomodate more people to your table, in fact, just a simple gesture is needed to extend the tabletop up to 1 extra meter. 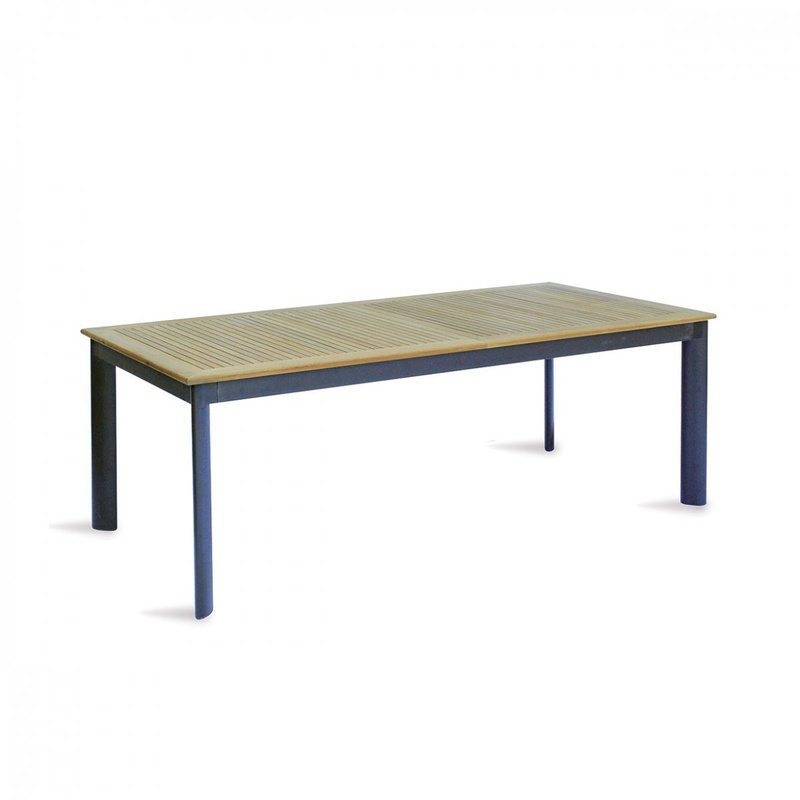 In particular, the length of this table is 220 cm, size that reaches a length of 320 cm when it is opened; its depth, however, measures 100 cm. 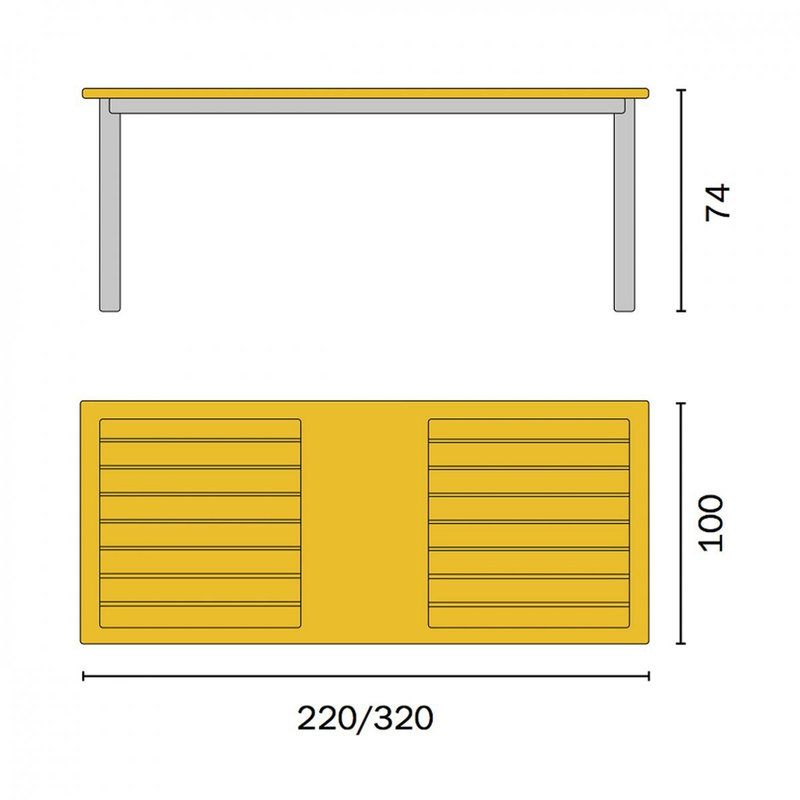 Even when it is not open, therefore, this table presents consistent dimensions, which make it perfect for rather large outdoor spaces. It would surely be a wonderful idea to match the Alicante garden table to a garden umbrella or a gazebo proposed by the same brand, that will protect you and your guests from the sun during the hottest summer days: from this point of view, the brand Greenwood has many interesting ideas, to create some very interesting combinations both functionally and aesthetically.